Emma McNamara joined Bermans in August 2018 in the Private Client department. She is a graduate of Pembroke College, Oxford, where she studied English Language and Literature. 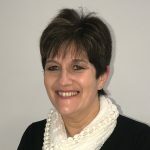 Emma previously worked in a will writing firm, specialising in Probate and Estate Administration for the last 6 years prior to her joining Bermans. With four children in the family and a lively Border Terrier she enjoys dog walking, running, quizzes and games.